SC SORTILEMN SA, of Gherla city located in central part of Romania, a local leading Romanian furniture manufacturer, is on the way of implementing an investment in a high efficiency cogeneration plant on biomass. 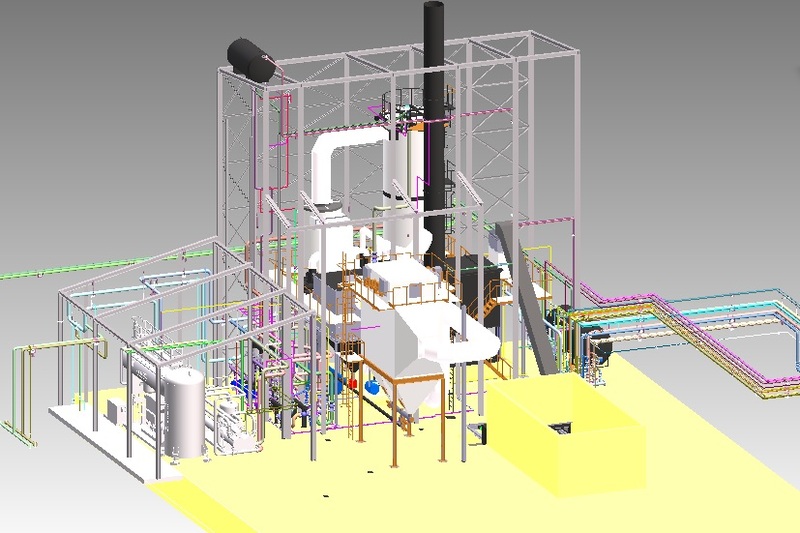 This is the first plant ever built in Romania, by the technology employed (thermal oil + ORC cycle) and its specific application (high efficiency cogeneration on biomass) and it is planned to be commissioned by April 2012. The project is implemented in partnership with the ESCO company, SC ENERGY-SERV SRL, based in Bucharest, which took the integrated task of Project Concept & Design (Feasibility Analysis, Finance Structuring, Procurement-Implementation-Commissioning) and Operation. - promote new and well proven technologies for energy efficiency. All these above will turn completely Sortilemn into a “green company” from its technological / manufacturing process as well as from its (wood) products to be delivered to its clients (some of them being IKEA, ….). By implementing this project, Sortilemn complies fully with Romanian and EU regulations concerning the high efficiency cogeneration and promotion of renewable sources and energy. Accordingly, the project is financed through EU funds, made available to Romania for such type of projects, as well as own financing sources of Sortilemn and funds from the specialized Romanian REEF (Romanian Energy Efficiency Fund-FREE). This is the first plant to be built in Romania, by its new concept and technology employed for the specific application and it is hoped that this project will open the door to a large market of similar applications in wood & furniture industry, district heating, industrial heat recovery, etc.